Superdry men's Vintage Logo box fit applique t-shirt. 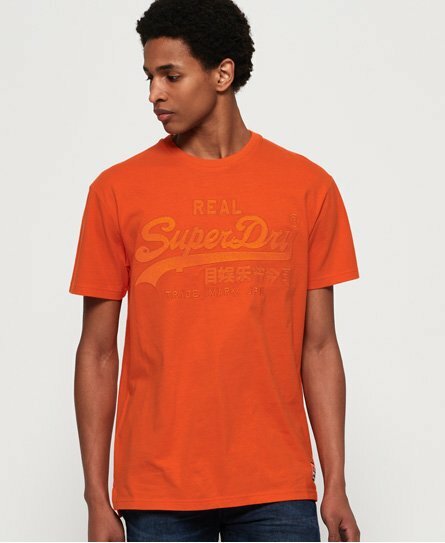 T-shirts are a wardrobe staple, so add to your collection with the Vintage Logo box fit applique t-shirt. This classic short sleeve t-shirt features an applique logo graphic on the chest and has been finished with a logo badge above the hem.